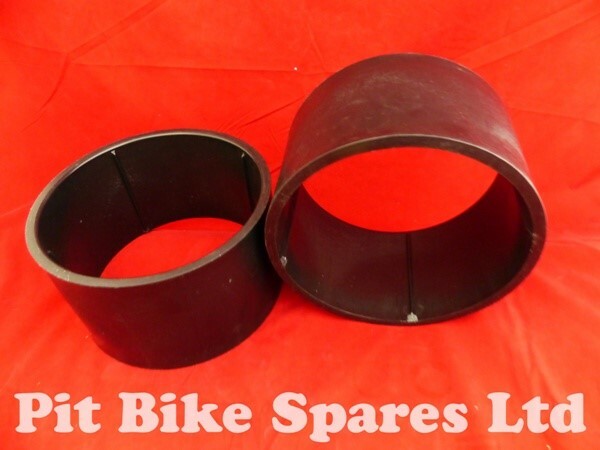 This is a pair of sleeves for drift trikes and will fit over front go kart tyres size 11x 7.10 x 5.. 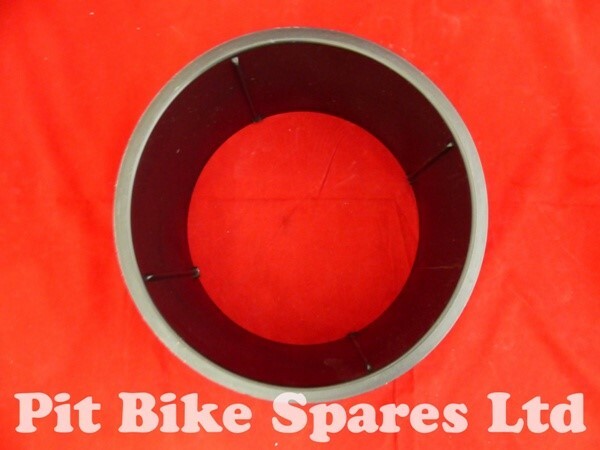 The sleeves are 296mm outer diameter, 266mm inner diameter, the wall thickness is 11mm thick. Each sleeve is 145mm wide. The tyre needs to be fully deflated with the valve core removed as the tyre needs to be squeezed to fit them. Its best not to run the tyre pressure over 15 psi and even less as the sleeve wears thinner to prevent them from cracking. There is no warranty given on the sleeves due to the nature of use.